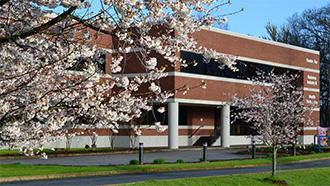 Chattanooga State Community College (CHSCC) is a comprehensive community college offering associate of arts, associate of science, and associate of applied science degrees. The college is distinguished by its diverse service area population; its high market penetration (Fall enrollment of over 9,300 students in a service area of under 350,000); breadth of curriculum; and impact on the business-industrial-professional community of southeast Tennessee. The college boasts the largest engineering technology, health science, and industrial technology divisions in the statewide system, as well as the strongest corporate training activity in the region. Chattanooga State holds the distinction of being recognized as a 2015 Military Friendly® higher education institution for exemplary practices in recruiting and supporting post-military students.